Have you noticed changes in our Library Search? We have made changes to our Library Search to improve your search experience. The interface remains largely the same. However, you may have noticed a few enhancements designed to provide you with more reliable, timely, pertinent, consistent and accurate results. These changes affect searches of all published materials at Library and Archives Canada that are fully catalogued and accessible for consultation or use. Both the Basic and the Advanced Library Search have been affected by these changes. If you are unable to find what you are looking for, use the AMICUS catalogue or the Ask Us a Question form. Help us to improve the Library Search by submitting your comments, suggestions or ideas online. Since Library and Archives Canada (LAC) extended its long-standing partnership with Canadiana.org to digitize microfilms in August 2013, 17.4 million images and 535 collections have been added to the Héritage website. These microfilms cover personal, administrative and government records. 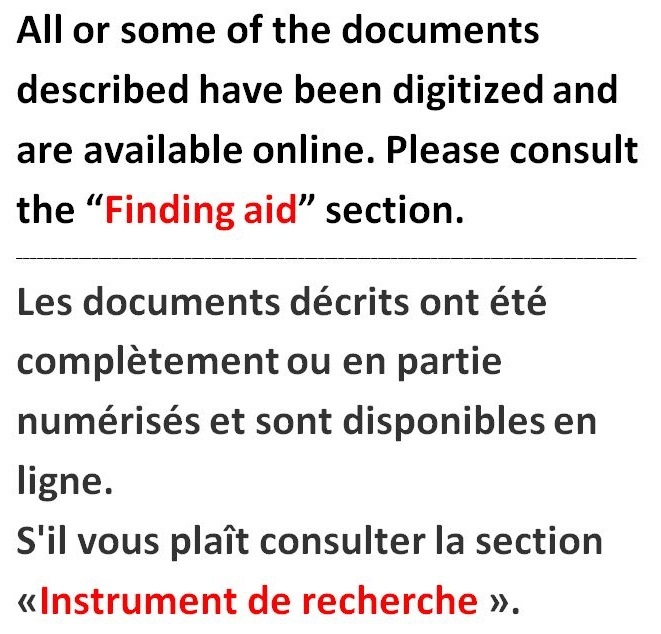 Up until recently, clients looking for microfilmed records in the collection would start their search on the LAC website, then go to the Héritage website to check if that content was already digitized. But now, you can find out whether a microfilmed record has been digitized or not just by consulting the MIKAN description! As other microfilms are digitized and made available on the Héritage website, similar links will be added to the corresponding MIKAN descriptions.